Google counts on precious metals from the manufactory of attractions. 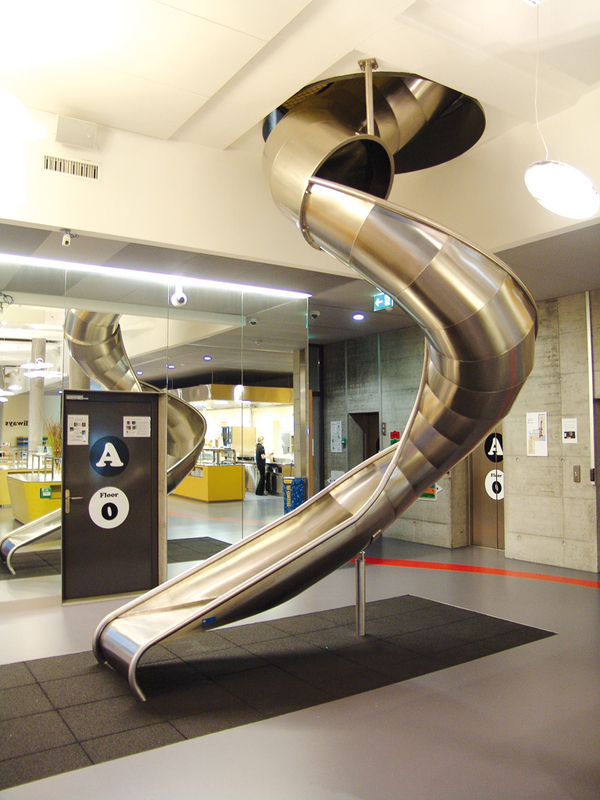 Besides being offered countless opportunities for relaxation and lively interaction, the Google visionaries at the Zurich centre of research and development also come to enjoy a special attraction. 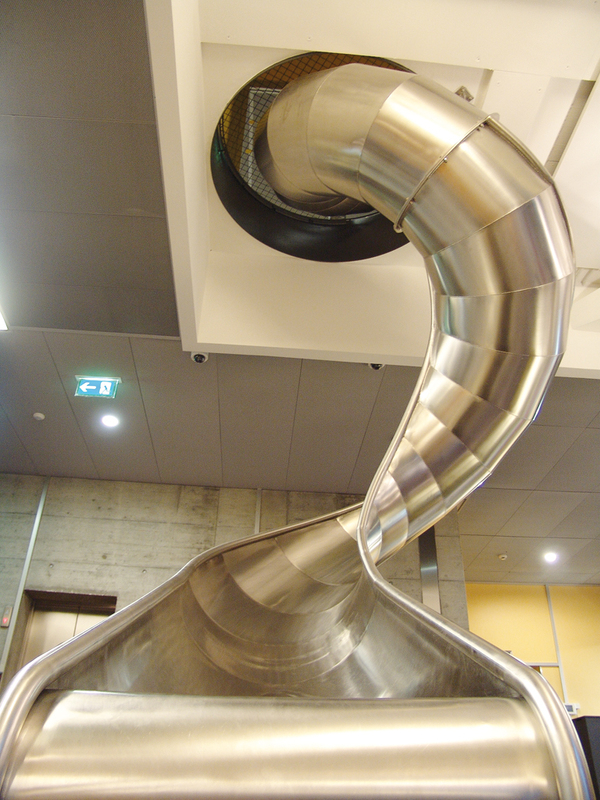 A 4.60 metre high special slide gives the employees a ride down from the in-house chillout lounge to the bistro below. 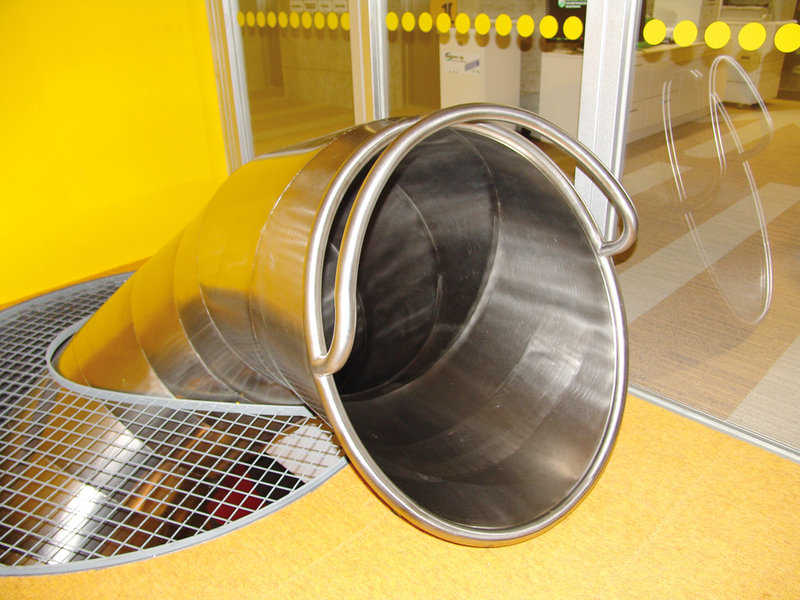 The spiral stainless steel slide starting off as a Tubular Slide runs down to the in-house bistro area changing into a scoop slide.